I live in the middle east where temp. is hot @ 50 deg cel now. One month back, I bought a healthy Rose plant and planted it in a container outdoors. the leaves dried up but stem was green fresh. Then, i took the plant indoor & then it started getting new leaves all over so fast. 2 weeks back, i took it out again for some direct sunlight in the morning for 3-4 hours and then the leaves got brown and sun-burnt and stopped growing. The new branches are becoming brownish. The main stem is still green however. Last week, i fed it some little MIRACLE GRO plant food thinking it would refresh. but it hasn't. Indoors, it is exposed to plenty of air. What's wrong with my rose ? Is my rose dying ? To alexdcosta: I agree with the recommendation for a shaded outdoor spot. I also recommend that you not apply fertilizer during hot weather. This stresses the plant by "commanding" it to put forth new growth at a time when it's just barely hanging on, waiting for cooler days. Make sure the roots are adequately watered and cool and then, after new growth appears on its own when the weather changes, fertilize at half strength so as not to burn the plant. But my specific point of difference is that, during the summer, roses in Kuwait may not be able to tolerate *any* sun from about mid-day to just before sunset without risk of scorching. Even morning sun should be filtered with, as you suggest, shade cloth or similar. OK, I'll weigh in from an area that experiences similar high year-round temperatures, and which is one of the rose-growing centers of the world (export-quality flowers). Roses in our climate CANNOT take full sun without going dormant. The best way to avoid this is either to build your roses a shade-house using cloth that allows about 60-75% light transmission (as mentioned), or to grow them in as much natural shade as you can find for them. They'll weather even the high 50's this way. The other key is to only water in the very early morning, before the sun has gained much strength, and at sunset, when although the temperature is high, the light isn't as hot. Fertilize only in the cooler months. Commercial roses here are grown in massive shade-houses. 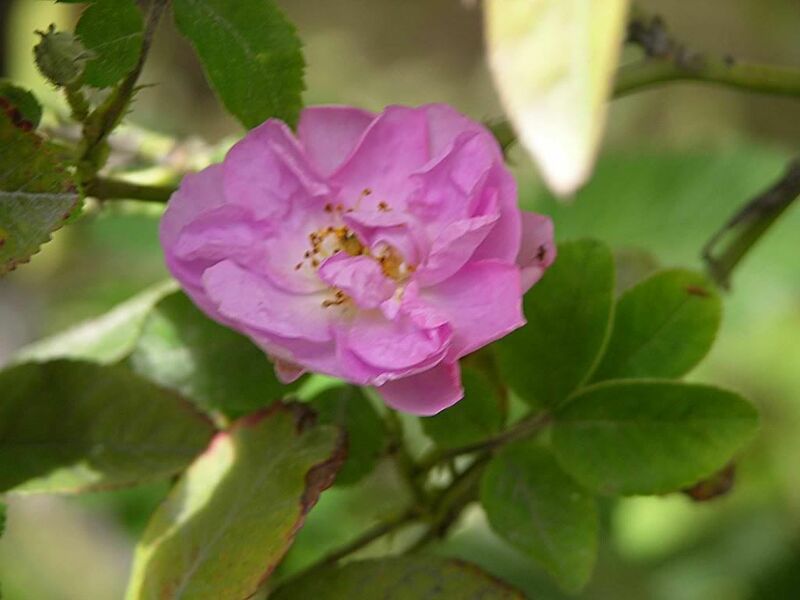 This is how I grow my roses, and they reward me year-round with stunning flowers. I have both Hybrid Teas and Rugosa-type ramblers. Thank you all for your replies. Now, what do i do to my plant ? Should i leave them indoors or transport them outside in half-shade ? Will my rose survive without sunlight indoors as the temp. is much cooler in air-conditioning ? I would treat them as if you had hydrangeas and other part-shade plants. Allow them to get sun from sun-up until 10am or so. Put them in a location that is not windy. Mulch them a lot. Use pots that are not made of plastic. Water when the soil feels almost dry or dry when you insert a finger into the soil to a depth of 4". Use "local" roses bred for hot climates like Four Season Damask Roses (or Summer Damasks if you do not mind once bloomers). Consider bringing "non summer hardy" varieties indoors when temperatures exceed 100-105 (treat them as you would treat non-hardy plants in winter). Place them in a location where a/c vents will not dry them out. Consider adding water absorbing rocks or crystals to the potting mix. 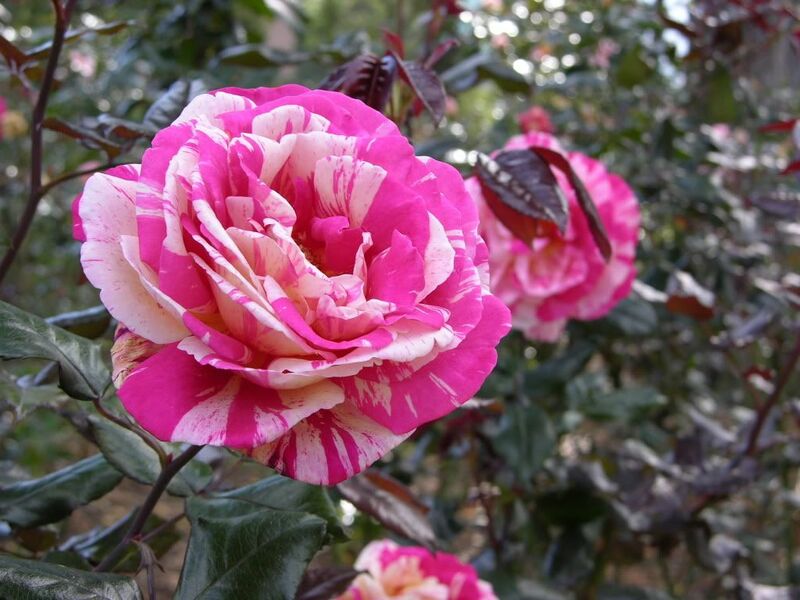 Which Roses Grow Best in San Diego, CA Weather?